It means investors making investment decisions that include considerations of all material factors, including climate-related risks and opportunities. The PRI has released a series of guides on integrating ESG considerations into portfolio analysis and decision making across asset classes, which investors may find useful when considering integrating climate-related risks and opportunities into core processes21. The recommendations and guidance for investors on implementing the TCFD recommendations is also a useful framework to consider when integrating climate change into investment processes. Asset owners using external managers need to assess the extent to which those managers are integrating climate change risks and opportunities into their core processes. Likewise, investment managers that are seeking to demonstrate leadership, including through launching low-carbon or climate-aligned products and services to the industry, benefit from ensuring that these issues are integrated into the core processes, across the entire organisation and product offering. Intention to disclose: Whether they support the TCFD recommendations and if they intend to report in line with the key pillars of the framework. Governance: The oversight and management arrangements of climate-related risks and opportunities, and how this has changed (or will change in the future) in light of the TCFD recommendations. Strategy: The strategy for identifying the risks and opportunities related to climate change, and how these are delineated over the short, medium and long term. As part of the strategy disclosure, fund managers could explain the impact that it has had on product development and mandate design. Explain whether the impact of climate-related scenarios on future outcomes has been considered as part of the investment process, both in terms of expected risk and return and the identification of new opportunities (see “Scenario analysis” box below). Describe the process and outcomes from engaging with companies and other investee entities on climate-related risks and opportunities. Provide details of voting records on climate-related resolutions (if applicable). Risk management: The process for assessing and integrating climate-related investment risks (physical and transition) into investment decisions. As part of risk management disclosure, managers should report on the higher risk companies that do not intend to report on climate-related risks and opportunities in line with the TCFD recommendations (to highlight the need to escalate engagement efforts). If scenario analysis is undertaken, disclose the process, assumptions, conclusions and actions that arose from the analysis, including the overall resilience of the portfolio to a 2°C or less scenario. Related to the above, describe the assessment of the companies and/or assets most at risk from transition and physical impact risks, under what climate scenario, and over what timeframe. Explain how these risks are being managed, monitored and mitigated. Metrics and targets: The use of climate-related metrics as part of the investment process. These metrics are important for both low-carbon or climate-aligned labelled/focused mandates, as well as for broader, unlabelled/integrated mandates. Provide, at a minimum, GHG emissions on an annual basis, in line with the TCFD recommendations. Describe any additional metrics or standards that have been applied to the investment process and reporting frameworks. Explain the chosen methodology and rationale, including any assumptions and shortcomings. Describe how these metrics have affected investment decisions and internal processes (including engagement activities and valuations of investee entities). 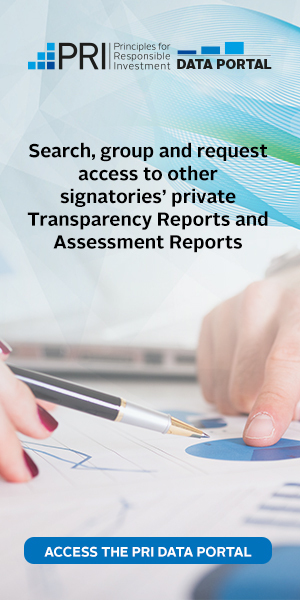 Disclose any climate-related goals or targets that the organisation has adopted. Explain how progress against these goals is being monitored and reported over time. Why is this relevant for investors? As with other investment issues, there is a high degree of uncertainty about how future climate change scenarios could play out and their likely investment impact. For those companies and assets with high exposure to the transition and physical risks of climate change, the impact on future expected earnings could be significant, depending on how the transition plays out. In aggregate, this could have a meaningful impact on financial returns at the asset and portfolio level. Investors need to adopt a systematic approach to analyse these potential impacts, drawing on the latest evidence and future possible scenarios to support a well-informed and considered assessment, including (but not limited to) the 2°C or less outcome that governments around the world have committed to achieving via the Paris Agreement. What do investors need to do? Scenario analysis will already be a feature of some investors’ strategy and risk management processes, particularly in regard to considering economic and political scenarios, whereas other investors may not currently use scenario analysis or stress testing as part of the investment process at all. Become familiar with the TCFD climate-related recommendations, including the technical guidance on scenario analysis. Keep it simple! Consider starting with a qualitative framework and build out to consider more quantitative outcomes when the knowledge, expertise and familiarity with the processes builds amongst the board and management team. Become familiar with the tools and research around how climate scenarios can be used in practice. Have a clear game-plan agreed in terms of how the scenario analysis process will be overseen (governance arrangements), and how it will feed into investment strategy and risk management processes on an ongoing basis. Further information, examples and resources on utilising scenario analysis as part of investment processes are provided in the PRI’s An asset owner’s guide to the TCFD recommendations.